WSI 93+: Our 2013 Grigsby Vineyard Cabernet Sauvignon is the deepest, richest, most complete and balanced version of this wine we’ve ever produced. It shows gorgeous weight and density, supported by the exquisitely resolved tannins of the extraordinary 2013 vintage. 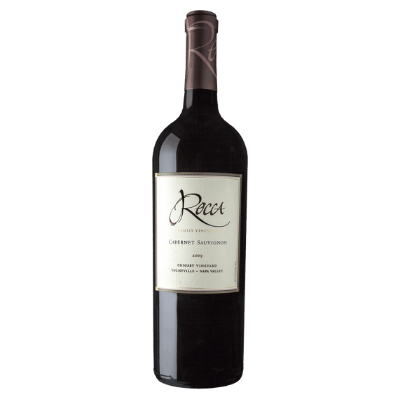 The overall theme here is one of perfectly ripe dark red fruit, especially sweet black cherries, beautifully complemented by sophisticated spice and floral elements as well as prominent notes of vineyard dust and rock quarry dust. The quality of the vintage is particularly evident on the mid-palate, where tremendous richness perfectly matches the luscious black cherry flavors, and on a highly polished, silky smooth finish that seems to last forever. This is one that we’ll be enjoying for a long, long time to come. RP 93: The 2013 Cabernet Sauvignon Grigsby Vineyard from Yountville is a softer, almost Margaux-style of wine compared to the Coombsville. The wine offers Asian plum sauce, a touch of ripe, black cherries and blackcurrants, background smoky oak and a nice fleshy full-bodied mouthfeel with velvety tannins and well-integrated acidity, wood and alcohol. This is a beauty that can be drunk now, or cellared for another 15 years.